My first set of templates were created using a vector file that was converted to a CNC compatible file and then routed with a computer controlled router. It was awesome. The resulting templates were absolutely perfect. But, CNC routing has a few issues. There is a lot of waste, setup and tear down take a long time for me (including driving to the CNC shop, waiting for the joker in front of me to finish (30 minutes later than his slot), moving materials in and out of my van (x2) and then cleanup after so the next person gets a shot at starting on time. Oh, and the one time I used the machine… the router collet was broken, so my bits didn’t work, so I had to borrow one, etc etc. Anyway, the templates were perfect. Now, I am off the pattern a bit and making the next templates from hand. So… it’s taken me a week+ just to get my templates working as I need. 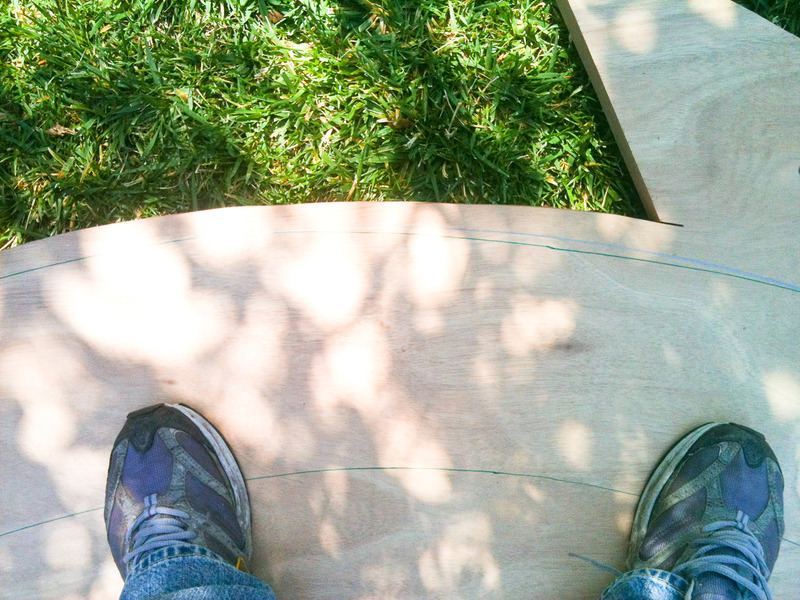 Here I am fixing the curve on the walnut bottom. 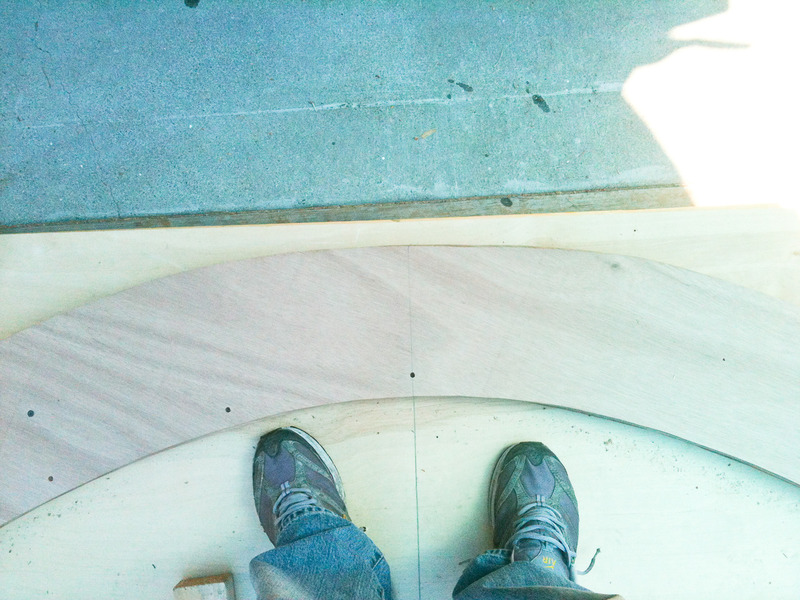 The first template had a flat section at the top of the curve.